Cycling to work means escaping the traffic, getting some exercise and having a breath of fresh air. 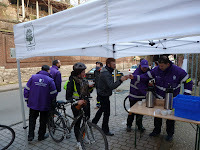 This morning, a number of bikers, including me, were rewarded with hot coffee while cycling on 'rue Gray' in Brussels. 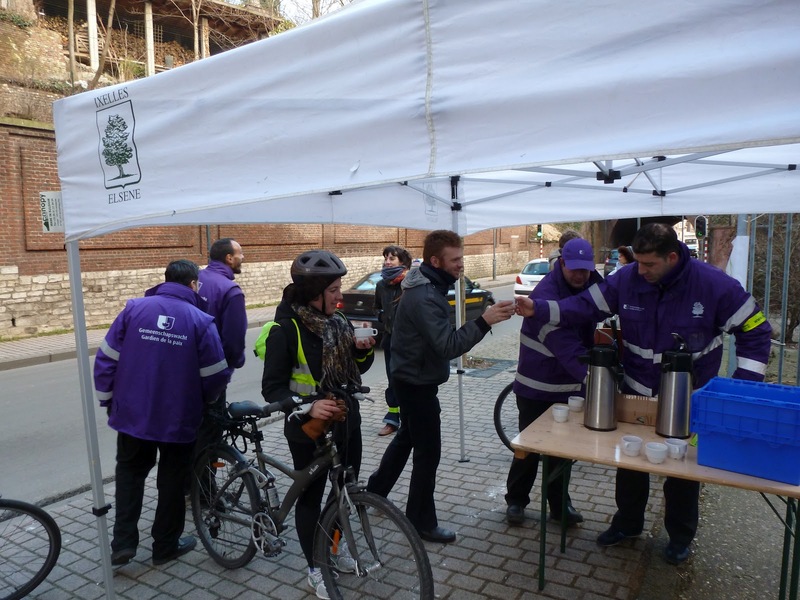 This was a joint initiative by the Commune of Ixelles, part of Brussels, and the non-profit cycling group GRACQ. What a cool way to start your day! 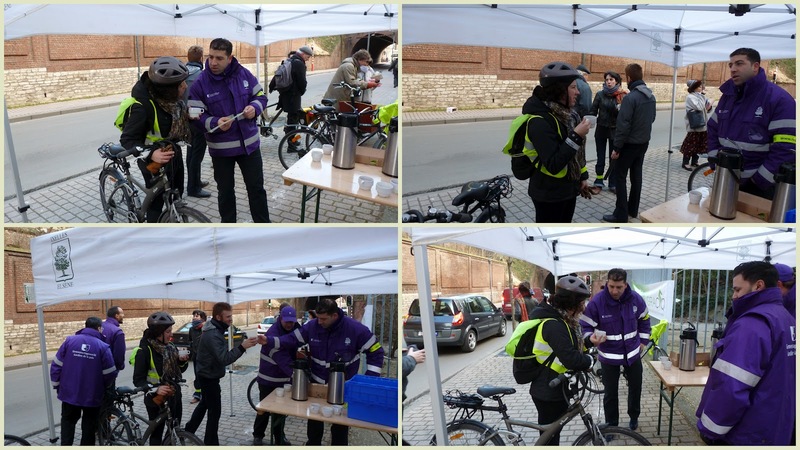 During the last few weeks, both GRACQ and the Commune of Ixelles have been raising safety awareness among bikers, calling their attention to the dangers of the road. Cool initiatives like these are becoming more common and I believe they are effective. I've been cycling for a few years in Brussels and I've noticed that it is getting safer but there's still some work to be done as roads need to become safer for all. 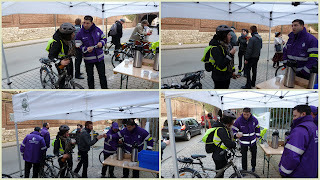 A hot coffee and a quick chat can definitely contribute to spreading awareness. You can check out the funky videos where Ralph, the eco-mobile man, shows simple tips about avoiding drivers' blind spot and how to deal with roundabouts. I come from a city (Lisbon) with almost no bike culture. When I moved to Brussels, I was amazed to see so many bikers on the road and so early in the morning, despite the cold and the rain. When I decided to try it I quickly understood how cycling can be so addictive! Firstly, it wakes me up. I try to avoid streets with heavy traffic, so I get the chance to breathe some fresh air before starting work. And secondly, it warms me up. It usually doesn't rain so hard to make biking a problem. Grey winter days seem less depressing and I feel more energetic because my physical condition is improved. What's more, I contribute to the reduction of carbon emissions. And don't forget that employees who bike to work can receive a (tax-exempt) bicycle allowance in Belgium. So many advantages! Now it's your turn: give it a try, you'll love it!